Not unusually for the ICT industry, the hype around cloud has thus far failed to live up to expectations. If one believes the technology-focused press around the world, every single ICT vendor on the planet has magically become a provider of cloud-friendly products and services. The reality of cloud is a lot less ubiquitous and probably still very much in a state of flux. According to Gary de Menezes, regional director at Oracle SA, cloud is challenging the traditional way of thinking in the corporate world, for resellers and among vendors. Within large enterprise accounts, he adds, the legacy structures and large ICT departments are not necessarily conducive to embracing an exclusively cloud-based future. The cloud is also challenging traditional outsourcing, says De Menezes, with providers of such services trying to understand their own future. Similarly, he says that vendors need to change entire ecosystems in order to find a new balance that effectively and efficiently embraces cloud computing. "I'm sitting with a project now where it's going to be the first true cloud service as a service, that's up against the traditional solutions. So it will be interesting to see how it comes out. And this is going to happen more and more often," he comments. For JJ Milner, MD and chief cloud architect at Global Micro Solutions, the issue is simple: "There's an end state that the channel, system integrators and vendors want to get to and there's an entire community with a set of tools that's not necessarily appropriate for that end state." He believes members of that community will resist change in all forms until they transition and everyone will naturally move, but they will move as slowly as they can possibly move. Rachel Laycock, lead consultant at ThoughtWorks, says the whole idea of cloud and the services that it offers is inevitable. "And I also believe that packaged software won't exist in the future and everyone is going to have to have some kind of API and some way of integrating and being more open," she adds. "In a few years' time, the real conversation we'll be having is about where to put all the data, how to read this data and how to secure it." Ian Jansen van Rensburg, systems engineering manager at VMware, cites a study done by his company on the prevalence of covert cloud, which is perhaps best illustrated by users needing to share data, using facilities such as Dropbox or Google Docs to do so when internal tools are unavailable or too complicated. "The CIO or the IT manager might not even know that people in the company are making use of Dropbox to share private and confidential information. But because it's simple and available, people are making use of these environments and that's what we call covert clouds," he says. In a few years' time, the real conversation we'll be having is about where to put all the data, how to read this data and how to secure it. For his part, Craig Albertson, head of cloud services at Accenture SA, believes one of the biggest barriers to entry is standards - or the lack thereof. "They do need to come together on some kind of open standards base. Vendor cloud alignment would be a huge step in the right direction," he says. Richard Firth, CEO of MIP Holdings, says his company is building a new super-workflow system. "Workflow has been a common word used in business process management, but the new super-workflow will be running the key admin platforms and the underlying admin platforms. Those workflows will be Web-based, Web service-based. They need to keep track of transactions and where everything is at any one point in time in multiple locations," he explains. 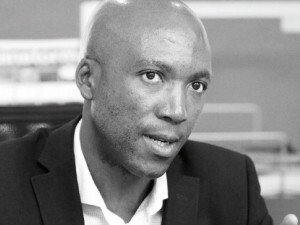 Nkosi Kumalo, head of cloud computing at Vodacom Business, notes that his company is effectively a cloud computing network provider for a wide spectrum of users in a diversity of business sectors. As successful as that strategy has been in attracting business users, he's disappointed in the low levels of interest from developers or systems integrators. He finds this strange, given the company's reach and ability to deliver services, products or applications in an end-to-end manner for the enterprise. "And it doesn't end there," he says. "We obviously go into the SME space as well, [offering] IT services end-to-end right through to the support that's required." Johann Els, open source specialist at SuSE, believes the primary benefits of cloud are really an anathema for traditional vendors, because it provides unprecedented flexibility in the access to applications and storage of data. Richard Vester, head of cloud division for EOH, says local corporates are attracted to the hybrid cloud model because it allows them to leverage existing investments in hardware and infrastructure, while still taking advantage of anytime, anywhere access where it makes the most sense. "This is specifically because there are things that they want to secure in their environment that could quite easily be exposed in the cloud," he points out. Phil L"otter, CEO of Piilo Software, suspects that cloud-focused development companies like his are disruptive to the traditional software markets and are changing the status quo. "It's because we're having a business discussion rather than an IT discussion. It's also because cloud makes [advanced] IT affordable," he adds. "Where previously only the big corporates could afford it, now the SMEs, the small two-man bands, can afford the same solution." Anton He"ydenr"ych, an analyst with Africa Analysis, has a somewhat jaundiced view of the promise of cloud, based, he says, on recollections of the mid-1990s when IT was spread all over companies and the promise of ERP was to integrate it all into a coherent whole. "But it's not working. It takes weeks to integrate to get a month-end report," he notes. "And we're going to run into the same thing if it's not properly managed - where different parts of the business will acquire cloud services and in five years' time, we'll sit with a situation where, again, it's disintegrated. And a new ERP solution will have to come around and say, okay, we'll integrate this, but it will be in the cloud. The real cloud," says He"ydenr"ych. Unsurprisingly, Dimension Data's Grant Morgan has a slightly different but equally gloomy take. Noting that cloud is a global business and that SA's share is less than 0.7% of the world market, according to global cloud players, he asks: "If you look at the money they invest in cloud, where does it leave South African cloud providers in terms of competitiveness? "The game is being moved from your local business competitor to the global guys coming across to SA to look for market opportunity. That's going to make the biggest disruption to this industry that we've seen in a long time," says Morgan. Where previously only the big corporates could afford it, now the SMEs, the small, two-man bands, can afford the same solution. Patrick Evans, MD of Advanced Cloud Technologies, wraps up the discussion succinctly by noting that IT today is a business decision rather than one involving a technology choice. It's also, he says, about spending operational budget rather than business capital, which feeds into the subscription model. "We're faced with the inevitable onslaught from global cloud providers that build things on scales that we can't achieve here. Massively scalable cloud services built next to a hydroelectric dam where they buy the electricity far cheaper than we can. Where they can buy software on scale that we can't match." Evans doesn't see this inevitable scenario as a bad thing, because, he concludes, it's fundamentally where IT is headed: to a utility similar to water or electricity. How long this will take to emerge is not clear.